"At the moment that we persuade a child, any child, to cross that threshold, that magic threshold into a library, we change their lives forever, for the better. It's an enormous force for good." The Early Literacy Station™ (ELS) is designed specifically for your youngest patrons ages 2-8 and features over 4,000 localized learning activities. The fun, interactive and engaging content spans all seven curricular areas: math, science & nature, social studies & geography, reading, art & music, writing & computer skills, and reference. We have three ELS stations: two in Colusa and one in Arbuckle, Maxwell and Stonyford. Free at all branch locations, ABCmouse.com is a comprehensive early learning site for children ages 2-7+, covering reading and language arts, math, science, social studies, art, and music. It is completely child-safe, with no advertising or links to other websites. Footsteps2Brilliance is the breakthrough early learning solution that helps all children become proficient readers by 3rd grade. The comprehensive Footsteps2Brilliance curriculum contains over 1,000 interactive books, songs, and games that can be read in either English or Spanish. Parents who spend just 15 minutes a day using Footsteps2Brilliance with their children see immediate gains in vocabulary and critical thinking. Within 30 days, Footsteps2Brilliance users have shown measurable results in vocabulary acquisition, critical thinking, and comprehension. Register your child here. By capturing a child’s interest and imagination from an early age, story time helps them to discover that libraries and literacy can be an enjoyable and valued part of their lives. Young children, who participate in story time, become regular library users and begin to develop the early education, communication and social skills which are essential aspects of long-term literacy and reading comprehension. The 30-minute story time is followed by a 15-minute craft activity. No reservation is required, families of all ages and sizes are invited to participate. El miércoles por la mañana, de 11:30 am a 12:00 am, niños 0-5 años de edad están invitados a escuchar un cuento en español. Treinta minutos programa sigue First 5 California hablar, leer, cantar de modelo, e incluye una canción, la historia y la actividad de aprendizaje para mejorar las Aptitudes de aprendizaje temprano. Para obtener más información, póngase en contacto con bibliotecario Lupe Ramos niños. Wednesday mornings, from 11:30am to 12:00pm, children ages 0-5 are invited to listen to a story in Spanish. The thirty minute program follows First 5 California's Talk, Read, Sing model, and includes a song, story and learning activity to enhance early learning skills. Each Monday at the Colusa branch at 10:00am, children ages birth-5 and their parents/caregivers will experience Nursery App Time! This story time blends classic nursery rhymes told in their traditional printed form, with the nationally-renowned Footsteps2Brilliance app. Participants will listen to differing versions of the "nursery rhyme of the day" and then partake in reading comprehension games and activities guided by the Literacy Coordinator. There is no registration necessary for NAPP Time, but attendees will need to create a free Footsteps2Brilliance account for full app participation. This program sponsored in part by the Colusa County Office of Education. Because learning knows no limits, the main branch of the Colusa County Free Library is hosting a special story time for kids with special needs and their caretaker. Each Tuesday, from 4:30pm-5:15pm in the Morse Conference Room, Spectrum will include interactive elements and provide a variety of toys, seating options, weighted blankets and other manipulatives in a low-lit, quite space designed to accommodate the individual needs of each participant. Raising A Reader is an early literacy program that promotes parent-child bonding through reading. In collaboration with First 5 Colusa, the Colusa County Literacy Program offers two free 10-week sessions per year, at the branch locations of Colusa, Arbuckle, Grimes, Maxwell, Princeton, and Williams. 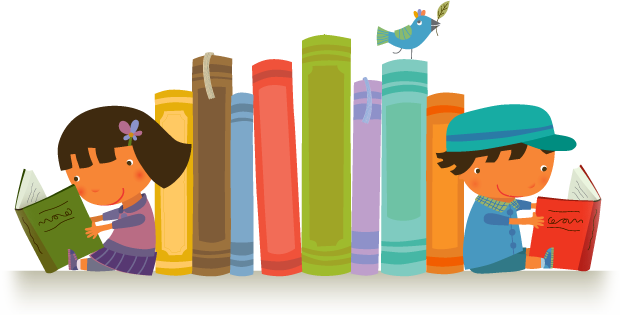 Each spring and fall, parents and their children, ages birth through five, establish a reading routine that has been proven to foster healthy brain development, healthy relationships, a love of reading, and the literacy skills critical for school success. Weekly story time and interactive activities at the library along with a weekly Book Bag make reading fun for the whole family. Participants will also receive free books to help build up their home libraries! Contact literacy coordinator Alissa Morrow for more information, stop by your local branch, or visit our events calendar! Full S.T.E.A.M Ahead is an educational approach to learning that uses Science, Technology, Engineering, the Arts and Mathematics as access points for guiding student inquiry, dialogue, and critical thinking. The end results are students who take thoughtful risks, engage in experiential learning, persist in problem-solving, embrace collaboration, and work through the creative process. These are the innovators, educators, leaders, and learners of the 21st century! This weekly fall program occurs from September-December at the Colusa Library for children in grades 3-5. No registration is necessary but space is limited. Contact our Children's Librarian Lupe Ramos for a full schedule and more information. The Funky Junk After School Art Program is for grades 3-5, and focuses on creatively upcycling everyday materials into masterful artworks! This weekly spring program occurs from January-May at the Colusa Library. There is no registration needed but space is limited. Contact our Children's Librarian Lupe Ramos for a full schedule and more information. Each summer, school aged children are invited to participate in a six week Summer Reading Program at each of the branch locations. Participating children read books and track the minutes they spend reading during the six weeks of the program. Each week, the children participate in Story Time, create themed crafts, and Literacise. 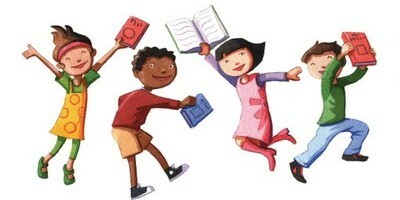 The program culminates in a celebration party on the sixth week, where prizes are given for reading. For the full schedule and more information click here. Each summer, the Colusa County Free Library Literacy Program hosts a FREE Book to Movie Club for local children ages 8-14! Throughout June and July participants will read three books and watch the movie adaptations to compare and contrast versions. Teens will also get their own copies of each title to add to their home libraries! The picks for Summer 2019 will be announced in April. For additional information contact Literacy Coordinator Alissa Morrow.